Most automotive museums are little more than mausoleums. Their curators fill vast rooms with four-wheeled objets d’art that pay homage to the splendid exploits of the receding past, of which the once-vivid echoes have long since faded. Such preservation runs counter to the very raison d’être for so many of the world’s best cars: to be thrashed in anger by drivers who have mastered their craft. Why all the French? You’ll see. 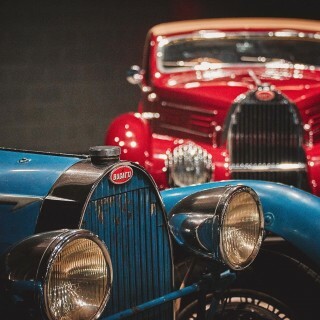 Peter Mullin, founder of the eponymous Mullin Automotive Museum, is quite rightly a firm believer that, “Meticulously maintained classics should be enjoyed on roads and racetracks.” With that in mind, he’s sending a sextet of his museum’s French racing classics to Monterey Car Week. Two of them are there solely to rub shoulders with the world’s finest restorations as they contest the Pebble Beach Concours d’Elegance. 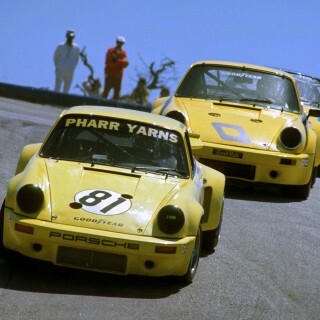 The remainder will exercise their magnificent voices at full song in the Rolex Monterey Motorsports Reunion. One of them is even pulling double duty: racing wheel to wheel at Mazda Raceway Laguna Seca, then setting its sights on best in show at The Quail, a Motorsports Gathering. Here’s the full roster of the Mullin Museum’s French contingent to arrive in Monterey next week. In case you’re wondering, the “SC” in Type 57SC actually doesn’t mean supercharged. Not exactly, anyway. 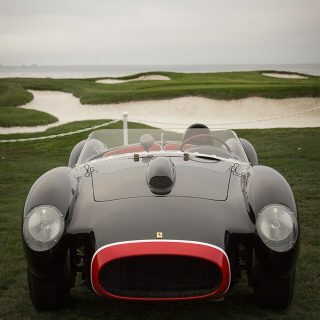 Ultimately, the 170 hp engine is the heart of the Type 57, which boasts a top speed of 135 mph, aided in part by the the “C” part of its name, which indeed indicates a supercharger (compresseur) forcing air into the DOHC straight-eight. The “S” is where the car’s world class engineering comes into play, though. It stands for surbaisse, which in very loose terms means it’s lowered. On modern cars, one typically uses shorter springs to lower the chassis and capture the handling boon that comes with it, but Bugatti’s engineers literally ran the rear axles through the car’s frame rails, completely altering the car’s geometry and turning it into one of the best handling cars of its era. It’s a special car, clearly, and thus it is completely understandable why Mullin himself has reserved the Type 57SC’s seat time at Laguna Seca. While not the most dominant Bugatti of all time (there is some hardy competition in that regard), the Type 51 enjoyed significant success all the same. Louis Chiron—namesake to the marque’s latest 260mph creation—drove one to victory at Monaco in 1931, and the model again triumphed at the principality in ‘33 and ‘34. While the car never won a championship, it gave its Alfa Romeo rivals—including the fledgling Scuderia Ferrari—a solid run for their money before the Germans left their stamp on 1930s motorsport. Only 40 of these cars were ever built. This is the twelfth, and it competed in the 10-hour-long Grand Prix of Belgium, at Spa-Francorchamps. Eventually, it was sold to an American, who promptly imported it to the States to race in the Vanderbilt Cup and in various ARCA competitions. At one point, the president of Samsung owned this example sometime afterward. In modernity, it still enjoys some time on the track, attending a number of vintage races including last year’s Rolex Motorsports Reunion. Derek Hill, son of World Champion Phil Hill, is driving it again this year as he looks to repeat his victory in the Pre-1940 Sports Racing & 1927-1951 Racing Cars classes. 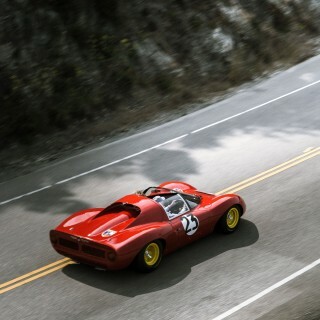 And adding to the usual pressure of racing a literal museum piece worth millions of dollars on a race track with any number of hazards, after the Reunion, this car will drive across Monterey to The Quail, with the explicit goal of winning Best-in-Show. There are only five Delage D6 Grands Prix in existence, and this particular one notched up podium results at Le Mans (1949), the 24 Hours of Spa (1949) and the 12 Hours of Paris (1948). Amazingly, it was lost for nearly two decades after one of its owners re-bodied it as a coupe. In 1965, an astute buyer discovered and confirmed the car’s true provenance, but it wasn’t until the mid 1990s that Peter Mullin purchased the car, and restored it to the original racing specification. 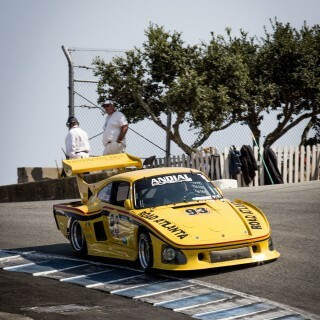 His son, Tim, will be driving it at Laguna Seca this year. With a 250 hp straight-six, and a top speed of 166 mph, the 126C Grand Prix boasts numbers that will still beat many a modern car, but that’s not why it’s important. 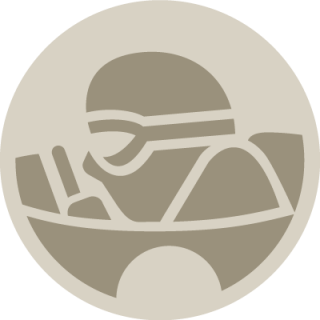 The hint is in its year, and its name; it was built to compete in grands prix in 1950, or to put it more bluntly, this car is a veteran of the very first season of Formula One. You can talk about its beauty all day, but you really don’t need any more reason to try to witness it in person than its singular purpose existence. Though lauded for its looks and its pedigree, this car is still the purebred it’s always been, created at the dawn of racing’s top tier sport and looking every bit the business with that frighteningly low cockpit sitting just atop the swept headers and exhaust from its formidable motor. 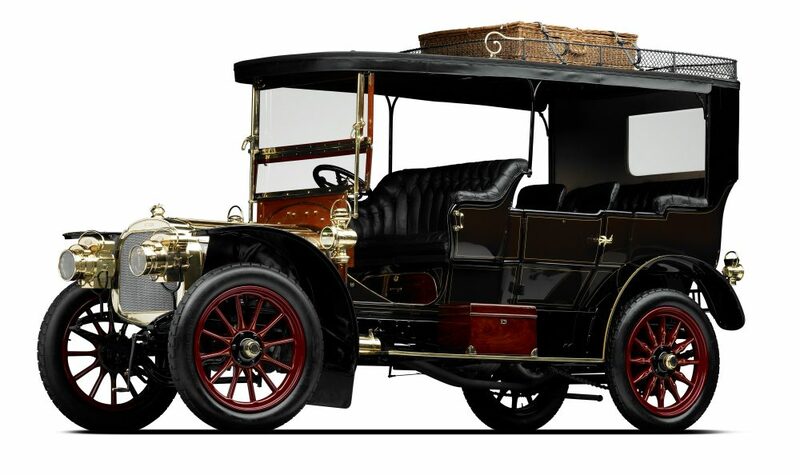 Frenchman Leon Bollee founded his automobile company in 1895, and began producing a three-wheeled vehicle called la Voiturette. Not long afterward, Bollee caught the racing bug, and promptly finished 1st and 2nd with his cars in a race from London to Brighton, held to celebrate the repeal of the draconian 4mph speed limit. By 1903, Bollee had a shiny new factory in Le Mans. An eight-liter four-cylinder (we will never see such an odd configuration again I’m sure) engine making 45hp soon followed, and with it, speeds in excess of 30 mph. Not blistering by any means, but for well over a century ago this was definitely up there. While the cars were noteworthy for their racing achievements, the Bollee story is overall somewhat sad. Leon died in 1913, leaving his widow to run the company. She did exactly that, and the factory was a useful contributor to France’s WWI efforts. By 1924, the company was purchased by Morris Motors Limited, who wanted to use the factory as a means of getting into the French market. 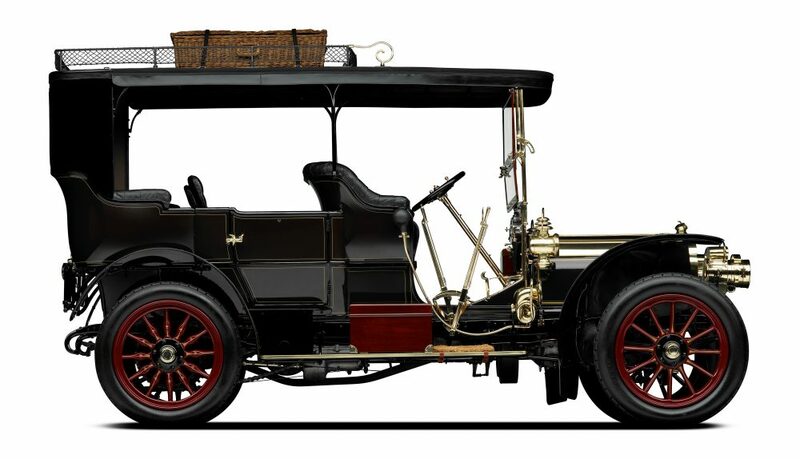 By 1931, the Bollee marque was gone, but this 1905 example is set to make an appearance in competition once again, only this time at Pebble Beach instead of a road race through early 20th-century Europe. There are two key points you need to know about the Bugatti 101C that will be joining the Leon Bollee at Pebble Beach. The first is the fact that just seven of these were produced as a post-WWII attempt to bring the marque back to prominence. The second, is that only one of those seven cars was supercharged. This is that car. Underneath its skin (which wholly encapsulates the design of the decade), the car is essentially a Type 57—in other words, it was a prewar car, masquerading as a brand new luxury item, and all this shortly after the whole of Europe was devastated by war. It was, to put it mildly, a commercial failure, but it was the last Bugatti built for decades, and its importance because of this is impossible to deny. Searching for scrabble words then one must visit here as all the words will be generated very easily to you. OMG! I just fell in love! And I am married (to Porsche) but the 1950 Talbot-Lago 126C Grand Prix is so hot! Special ? Yes . Rare ? A couple of them are . But Kings of Motorsport ? Not hardly . As for the 101C ? Very special and very rare indeed but it never saw so much as a moment of competition . So suffice it to say the hyperbole’s been spread mighty thick on the header . You are the only bad thing about petrolicious. Please go away.